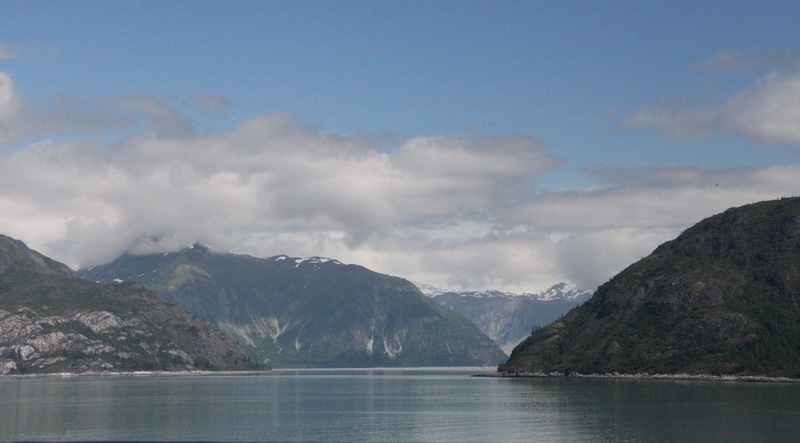 Onward we go with our Alaskan adventure! 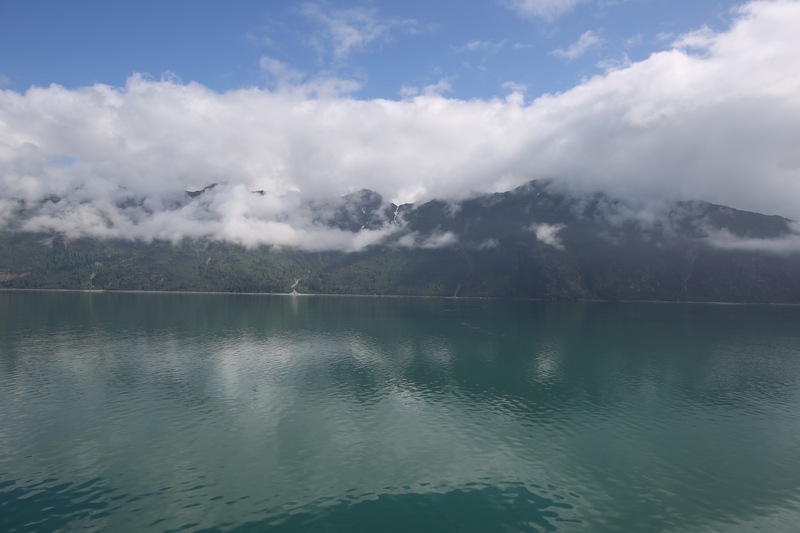 I will be highlighting days 3 and 4 in this post, the days that we did our “Scenic Cruising”, first into Disenchantment Bay to see Hubbard Glacier and then the next day we traveled into Glacier Bay. 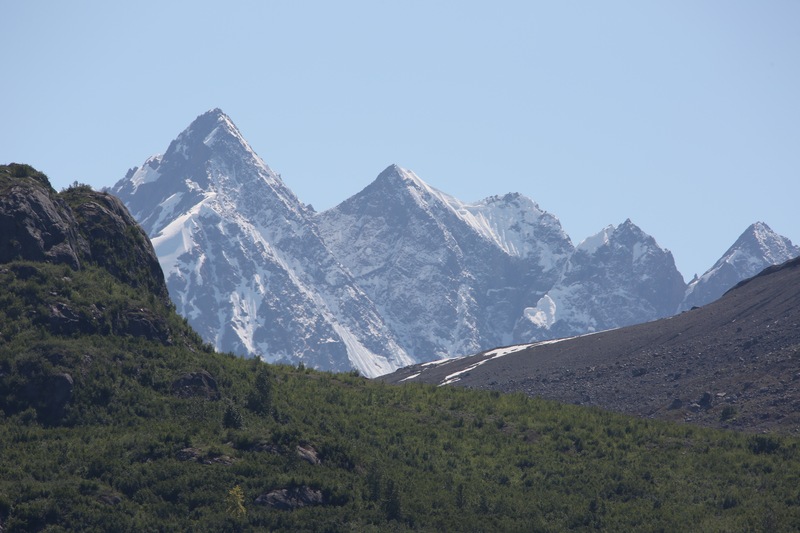 We saw many glaciers in our travels, but we stopped, looked, and listened to two wondrous glaciers on each day, Hubbard on the first day and Margerie on the second. The ship takes its time getting back to where Hubbard Glacier is located, but you know you’re getting close when you start seeing the little (which are actually rather large) ice bergs in the water surrounding the ship and the temperature starts dropping. 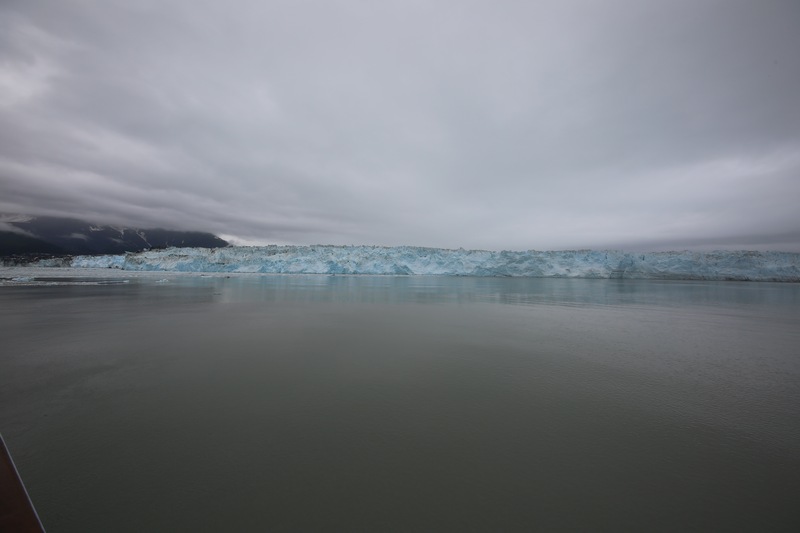 I’ll tell you a little about Hubbard Glacier, I’m thinking there are some out there that are as geeky as I am when it comes to nature and this sort of thing…haha…;) Nooooooo, I am not a tree hugger, I just honestly possess a deep rooted appreciation for pristine beauty such as this. Okay, anyway, Hubbard is the longest tidewater glacier in Alaska extending 76 miles from its source on Mt. Logan in the Yukon. 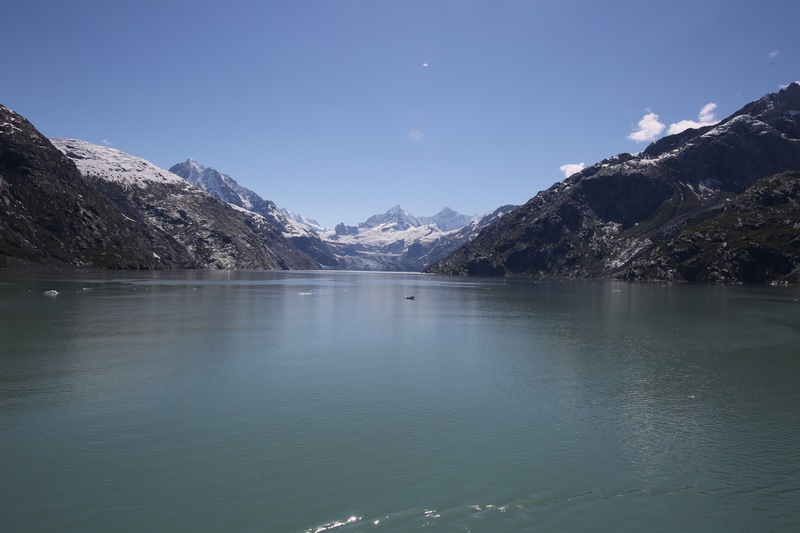 The cliff face is at least six miles wide and it towers 3 to 400 feet from the water level and plunges 300 feet at the front of the glacier from the water level to the bottom. 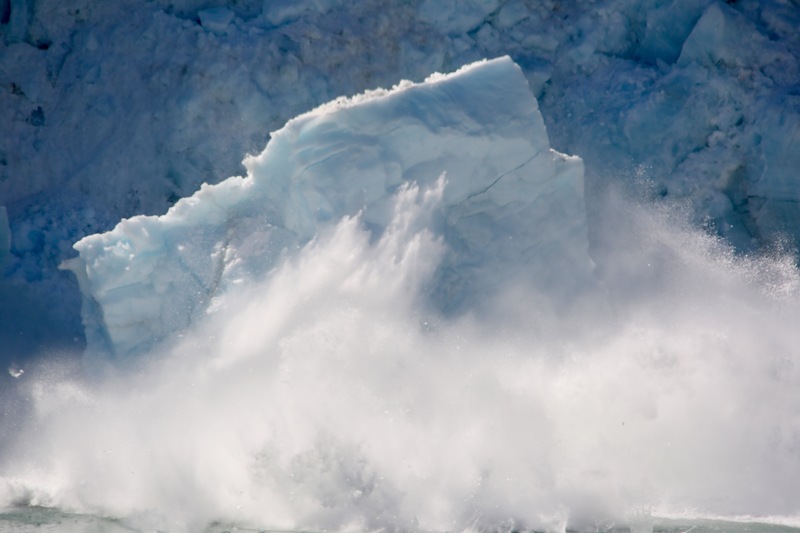 As Hubbard is advancing, it creaks, cracks, and moans as it travels and is a very actively calving glacier. 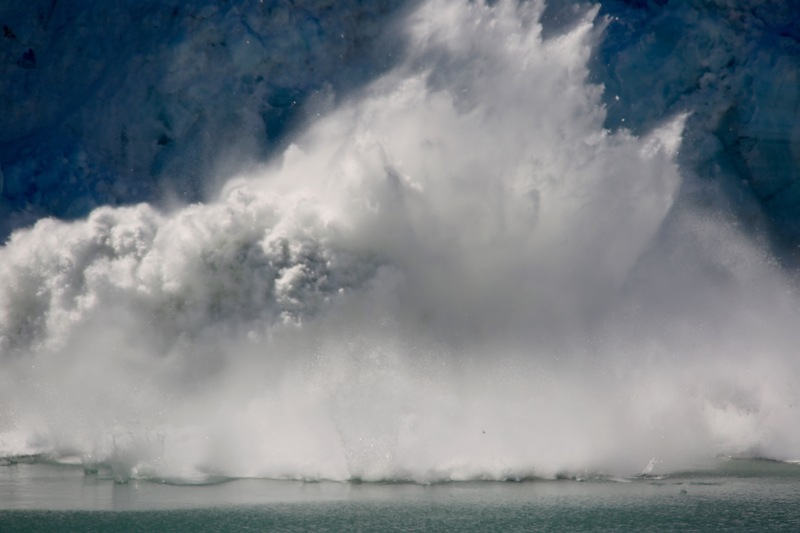 This makes for memorable moments when the huge chunks of ice crash into the bay creating a wonderful sound coined “white thunder” by the Tlingit people. BTW, I don’t just inherently know that information, there was actually a Naturalist on board with us and his commentary was broadcast around the ship and into staterooms via the tv and yes, I was *that* woman that took copious notes. 😉 The Captain of our ship the Coral Princess was fantastic, we pulled up really close (close is relative–we got to about 1/2 mile away) to the glacier and then the captain turned the ship so that the folks on one side of the ship could gaze at the glacier, he stayed there for 30 minutes and then spun the ship around so that the other side of the ship could watch it for another 30 minutes. Okay, so that was an awesome day! 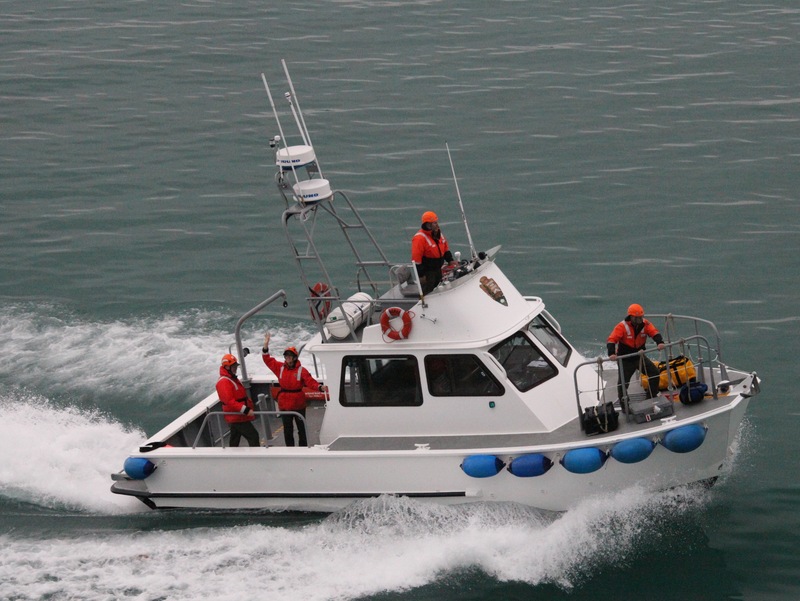 Hubbard Glacier was amazing and the scenery to and from the glacier was breathtaking. 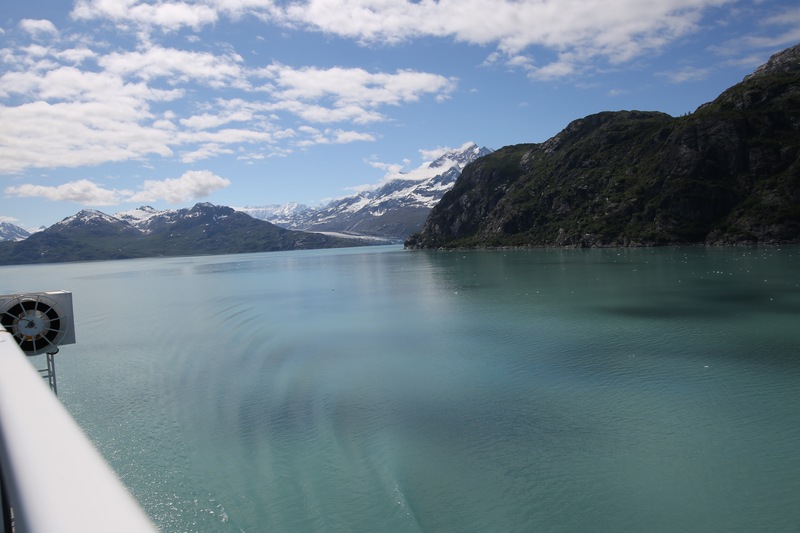 But, now let me tell you about day 4, and what we saw in Glacier Bay; it took my breath away and it alone is what brought us back to Alaska for our 4th time. I cannot express to you the beauty that is held within this pristine, magnificent place, I would venture to guess that it is one of the most gorgeous places on this planet. Glacier Bay is a National Park so Park Rangers came on the ship and set up a “Ranger’s Station” where one could go and ask questions about Glacier Bay and purchase books and souvenirs. 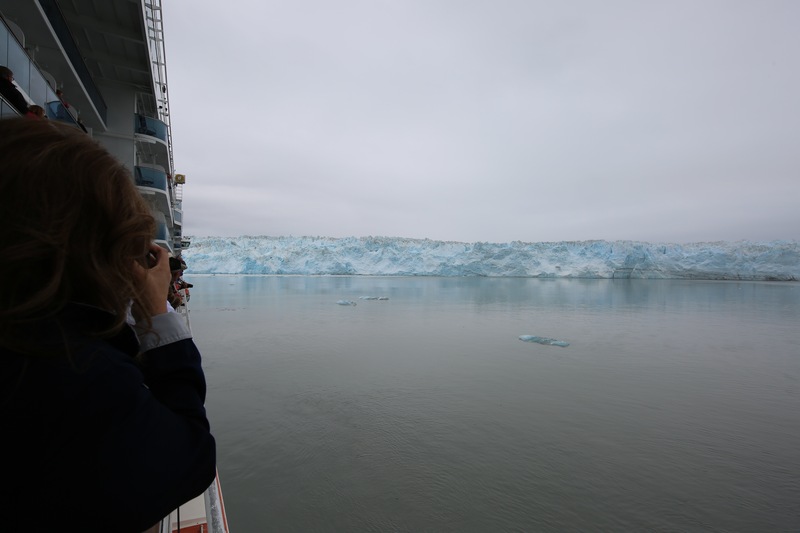 In addition, a Park Ranger’s commentary was broadcast around the ship and into all of the staterooms giving us a plethora of information about all of the glaciers and wildlife that we were seeing as we made our way in and out of the bay. 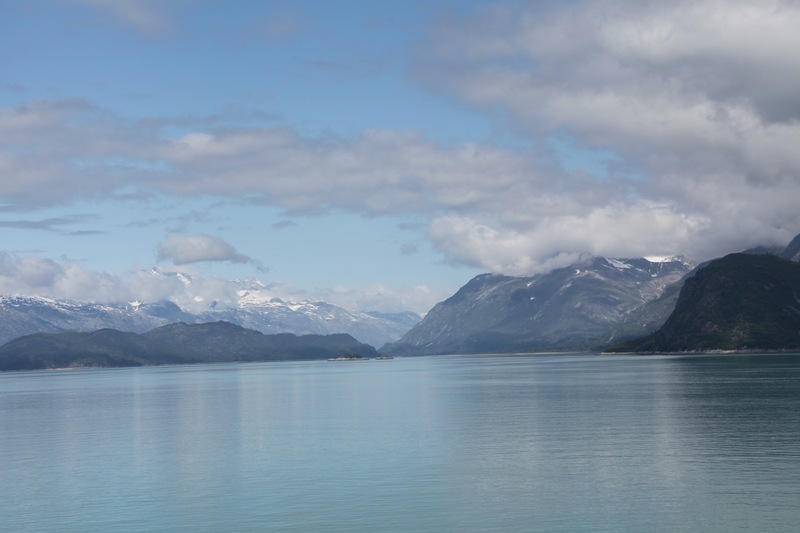 The sky was rather overcast on this morning, but the later it got and the further we got into Glacier Bay the prettier the day got, the sun came out and blue sky could be seen. My hubby and I actually got a bit of a sunburn on this day. 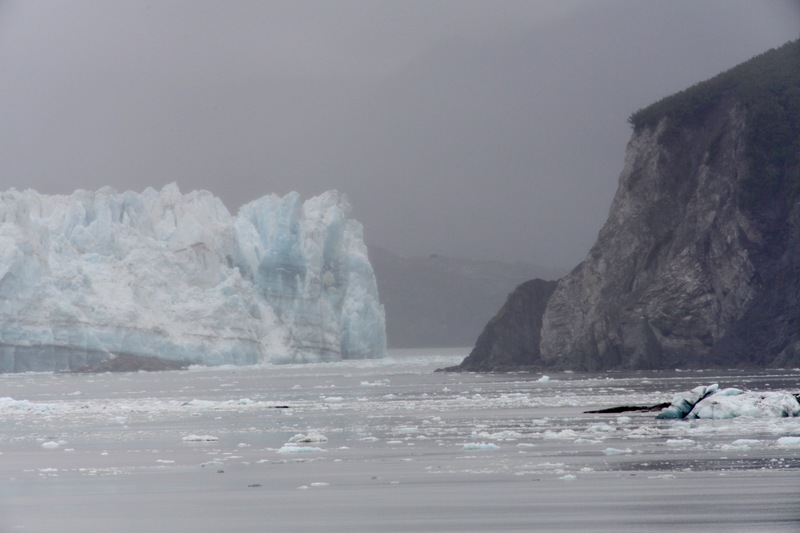 There were many beautiful sights to see on our way into the Bay but the most impressive sight was Margerie Glacier. 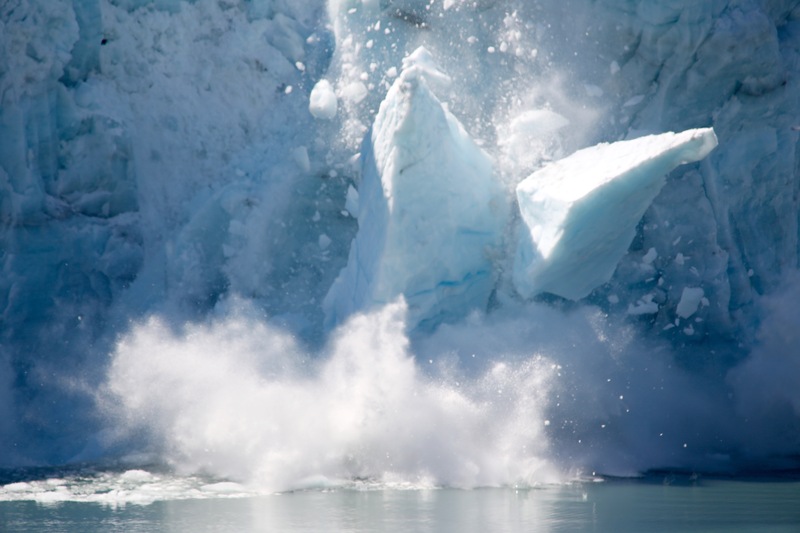 Here are some more of those geeky facts for you: Margerie Glacier is a 21-mile-long tidewater glacier, it soars 250 feet above the sea level, and 150 feet below and it is an activity calving glacier. This one was much louder than Hubbard and it was calving almost twice as much. See that piece of ice in the middle of that picture above? It looks kind of like a triangle, only it is the size 12 story building! Oh my goodness gracious! We couldn’t believe our luck, we definitely felt as if we were in the right place at the right time. 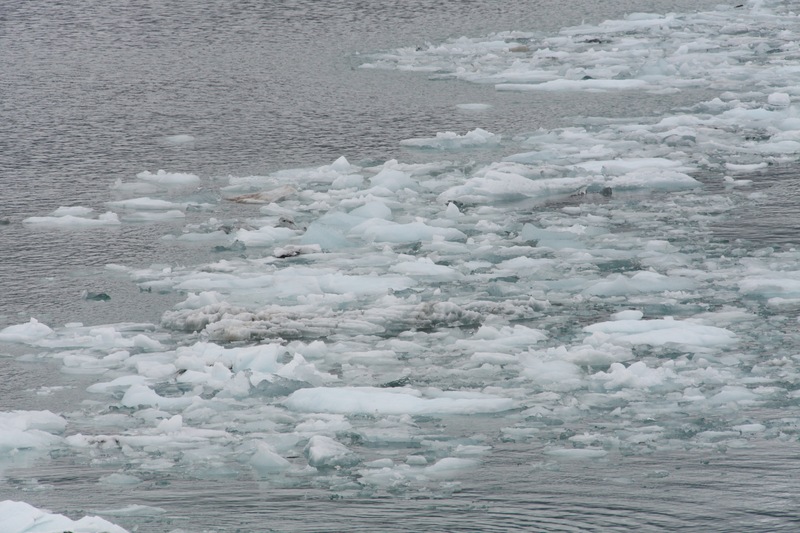 You should have seen the wave that that huge chunk of ice generated, it was quite impressive. 🙂 Wow! Here are a couple of close up shots of the glacier itself, the crevasses were ridiculous! It was so hard to say good-bye to Margerie Glacier and I was quite sad to turn away from it because I truly don’t know if we will ever return to that exact spot again. It is a very, very special place, one that just brings calm to one’s very soul. Incredible!